You know, I’ve tried to like football. And I mean really tried. Despite my best efforts, it never took hold – some things just aren’t meant to be. 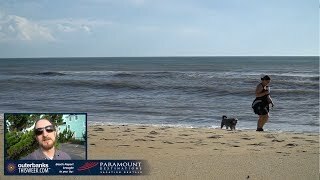 Now the Super Bowl spirals toward us, and I’m scrambling to find alternative activities to fill my weekend on the Outer Banks. I’ve lucked out too. 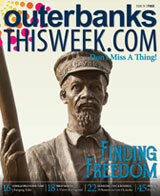 There are awesome Outer Banks events happening this weekend – ones that don’t involve yelling at a TV – and I’m stoked. Start your weekend with the beach’s quintessential winter activity, a good community oyster roast. Oden’s Dock hosts the Hatteras Island Oyster Roast this Saturday, February 2, from 1 to 4 p.m. It’s complete with live music, a silent auction, neighborly vibes and, of course, all the oysters you can eat. Gather ‘round the long tables with your Outer Banks neighbors and shuck away. When your hands need a break, help yourself to the seafood chowder, cornbread and bake sale goodies. This event benefits the North Carolina Coastal Federation. If you want to help protect the coastal environment and slurp up some oysters, get your tickets here. Oysters roasts are good, gritty, hands-on fun for the day. For the evening, though, spritz on some eau de whatever and start feeling sophisticated. Start at TRiO’s Reserve Tasting, held every Saturday evening at 6:30 p.m. 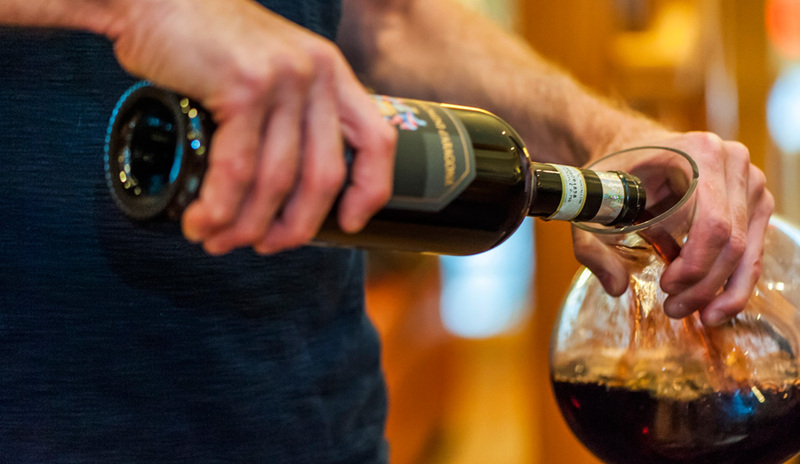 This structured tasting around the mezzanine bar deepens your appreciation for the variety of the sommelier’s choosing. After you’ve indulged your palate, settle into Verdi’s La Traviata, performed at First Flight High School at 7:30 p.m. on Saturday, February 2. The event welcomes members of the New York Opera Studio, including the Outer Banks’ own Tshombe Selby, who will perform the lead role. Local participation contributes to the production, with the Old Dominion University Orchestra performing the score and local singers in the chorus. This way when you sit down to the Super Bowl’s halftime show, you know that you’ve already gotten your live-entertainment fix. I should be fair and humor our football fans too. When you want to catch every minute of the game, the analysis, the instant replays and the commercials, you need an Outer Banks restaurant with the Super Bowl party to match. Fortunately, many of your favorite Outer Banks restaurants are not only showing the game on their numerous TVs, but also hosting Super Bowl parties to enhance the event. Before the game actually starts, you need to mentally prepare for it. 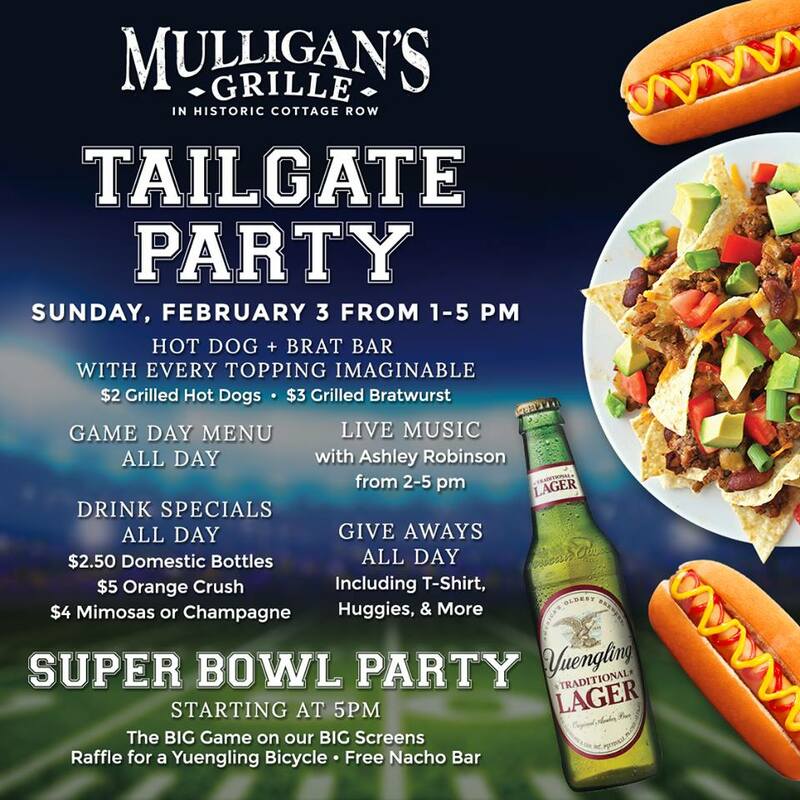 Get into the zone with Mulligan’s Grille for an afternoon Super Bowl tailgate, starting at 1 p.m. You’ll find typical tailgate fare including a hot dog and brat bar and drink specials in addition to giveaways and live music. There will also be a free nacho bar along with their Game Day menu for anyone viewing the Super Bowl. Don’t forget to enter in their 50/50 raffle for the chance to win a Yuengling bike. For more information about more Super Bowl parties happening around the beach, including Secret Island Restaurant and Sandtrap Tavern, check out our Daytime Events and Nightlife pages. How will you be spending Super Bowl weekend? Gathered with your friends, everyone sporting their respective jerseys, or hightailing it away from the hoopla? Share your plans in the comments below!